In this special Black History Month series, I'm inviting you to venture beyond Black Paris and discover places where the Diaspora and France intersect. 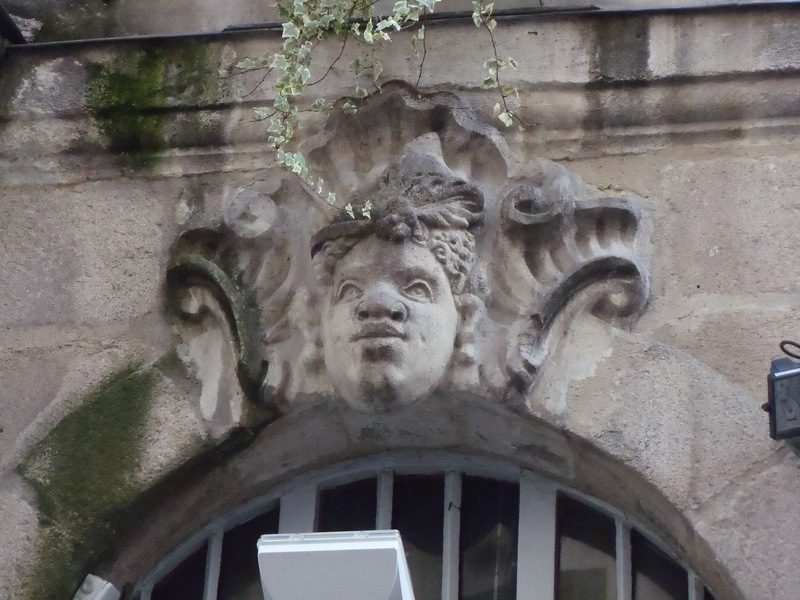 Many of the African-American links to France are centred in Paris. We all know, however, that France was entangled in the Black Diaspora long before and during the time African Americans have benefited from the mythology of tolerance. Today, there are many cities and towns around the country to experience African-American and Diaspora heritage sites and contemporary points of interest. Some places have only recently begun to acknowledge and redress their involvement in slavery (Nantes, Bordeaux), some venerated the contribution of WWI & II soldiers (Normandy). In one, you'll find statue of the Senegalese infantrymen ( Mediterranean city of Frejus), in another, the museums to a great men of culture. Alongside the Black connection, I'll give you some intriguing reasons to put these places on your itinerary. Point of Interest: Abolition of Slavery Museum (description below) opening March 2012. The only one of its kind in France. 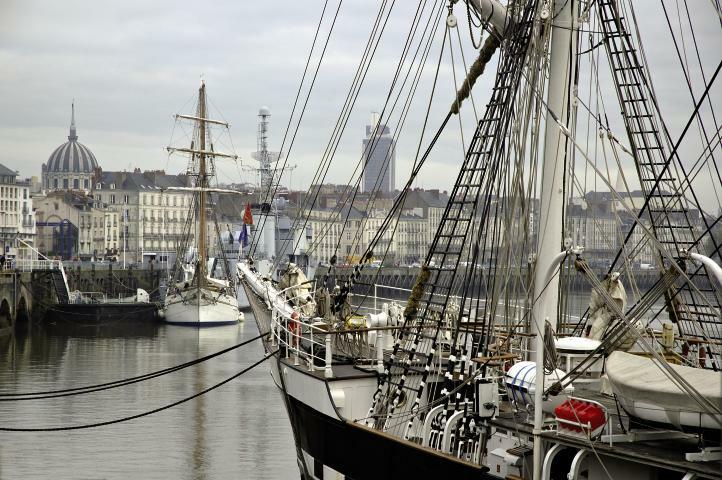 Connection: Nantes was the largest slave trade port in France (out of 17). 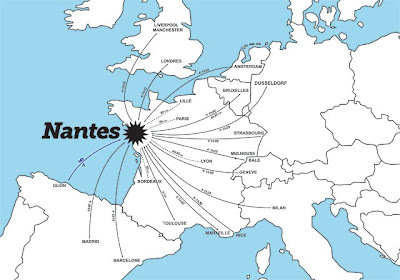 Facts: Between the 17th and 19th centuries, Nantes organized 43% of the French expeditions along the Slave Trade Triangle, carrying 450,000 slaves to the Caribbean colonies. 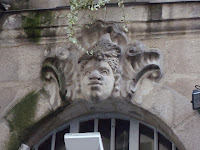 A city made wealthy by slave trade, some of homes and offices of the industry are still standing, so are the carved stone heads of Africans into buildings. 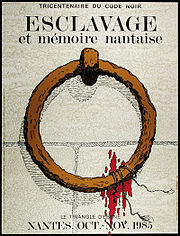 The first international convention to study slavery was held in Nantes, in 1985. 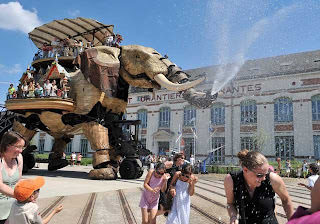 Out of that came the Association Shackles of Memory, an international non-profit which works in conjunction with the University of Nantes to educate through conferences and school programs. 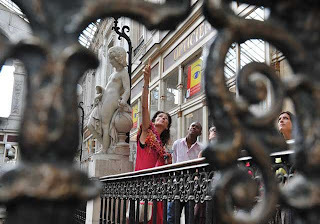 They give walking tours for all ages focusing on the city's slave trade history, abolition, and present day activities. The memory-keepers are very active and vocal. Last May 10, 2011, to commemorate ten years since the passing of the Taubira Law that declared slavery a crime against humanity, a controversial re-enactment of slave and slave-masters was led through the streets of Nantes. The ceremony was attended my Malcolm X's daughter. Also commenting was Deputy of Guyana Christiane Taubira, author of the 2001 Taubira Law. She emphasized that reviving the memory must go further - progress must continue in the education curriculum because it is education that will help understand and go beyond. - The re-enactment dramatizing a past the city wants to take responsibility for. - Ten years after the declaration of slavery as a crime against humanity, the Association of 10 May wanted to strike hard at consciences. - Malaak Shabbaz says, “It's about time to heal." - Images of the memorial site under construction. 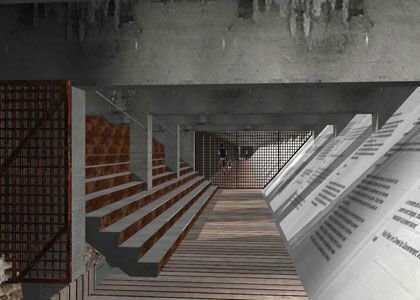 The Abolition of Slavery Memorial Museum opens in March 24, 2012. Free entrance. On a replanted esplanade at the very spot where the slave ships used to berth, 2,000 commemorative glass plaques recall the slave trade expeditions that started from Nantes, as well as the major trading posts in Africa and in America. 1,710 of the plaques name the ships and dates of departure, 290 name the ports of call and sale in Africa, Antilles, Americas and Indian Ocean. An open air stairway leads underground to the heart of the Memorial. First thing you'll see is the Declaration of Rights of Man and the word Freedom in 50 languages of countries affected by the slave trade. Once in the underground, to your left you'll glimpse the Loire River between the pillars on which are inscribed excerpts of texts from 5 continents over 5 centuries. To the west, historic and geographic texts and images place the Atlantic slave trade into context, balancing the weight of historic facts with the fight against servitude yesterday and today. Geographic location: 2 hours west by train from Paris Montparnasse station; capital of the Pays de la Loire region in northwestern France. 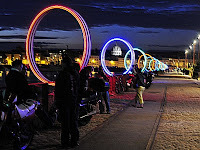 Situated on the banks of the Loire River, 34 miles (55 km) from the Atlantic Ocean. Its Vibe: voted one of the best places to live in France, appreciated by young professionals who love the arts but don't want to live in Paris. 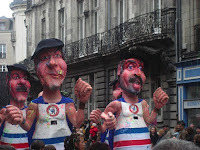 Carnaval de Nantes – April 1, 2012 – the second largest annual street fest in France (after Nice). Their specialty is giant performing marionettes, brainchild of the extraordinary home-grown, world renown street theatre group Royal de Luxe. On the trail of Jules Verne – if you're a fan of the visionary author of 'Twenty Thousand Leagues Under The Sea', visit his home and places that inspired him. Year-round guided tours. 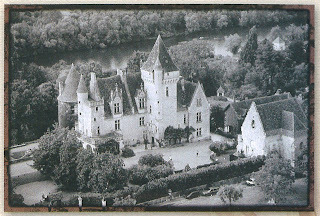 Promenade Nantaise – get a panoramic view from the tower of the former LU biscuit factory now an eclectic arts centre + Turkish bath, stroll through the beautifully restored medieval Bouffay city centre, admire the superb gothic Saints Paul and Peter Cathedral, visit the Chateau of Dukes of Brittany which the city was built around. - Chic seaside resorts and spas on the Brittany coast: La Baule (great for celebrity spotting) and Dinard. - St. Nazaire ship-building yards of the largest ocean liners, also a museum of historic liners. 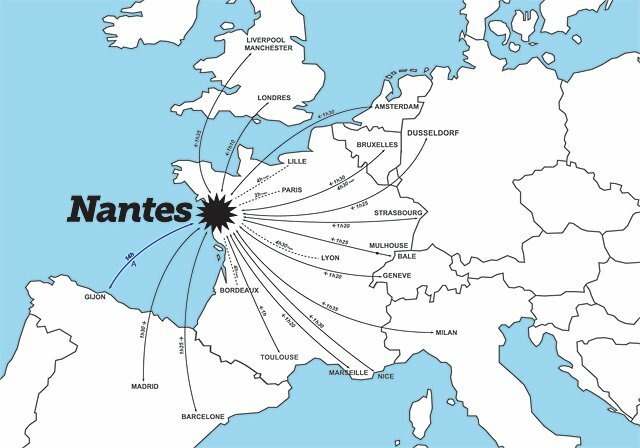 Who Would've Guessed: there are 3 mosques in Nantes. A few months ago I became a Certified Agent for France designated by the France Tourism Development Agency. This didn't exactly come out of the blue. I began visiting France in the early 80s as a flight attendant, lived in Provence as a mature student then as a full-fledged Paris resident. After 17 years of offering tours of Black Paris, I'm ready to share my appreciation of this rich country and get you connected with all that great food, gorgeous countryside, and some pretty cool surprises along the way. How about joining me on a private bus excursion from Paris to visit Josephine Baker's chateau in the south and nearby Bordeaux? I'll be escorting you on a wonderful journey to discover the region that Josephine fell in love with - it's the land of a thousand castles, of beautifully preserved medieval towns, of lively and laden open air markets. But you'll never forget stepping back into Baker's life and achievements. - Private tour of Chateau des Milandes permanent exhibition of Josephine Baker's former home where she lived with her Rainbow Tribe family. Revel in the beautifully exhibited mementos, her recreated living spaces, and the extraordinary display of her private and public life. 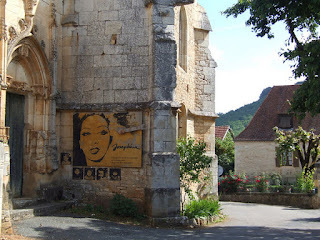 - Explore Josephine Baker's Dordogne : Sarlat, outstanding medieval town renown for its sprawling Saturday market of world famous local products. Visit the nearby UNESCO World Heritage site of prehistoric cave drawings at Lascaux. - Discover Bordeaux's famous vineyards, the city's rich architectural setting, fine gastronomy, and learn about its slave-ship history. Julia Browne info@walkingthespirit.com for Further Details and Registration. Deadline to Register: March 15. Stay tuned for our next Beyond Black Paris spotlight.... after our Valentine's Day Lovefest. 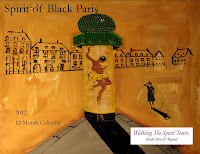 Did You Get Your Spirit of Black Paris Calendar? Special Black History Month price! What a great edition of your newsletter! I would like to repost it on the Black Women in Europe blog and of course link back to you. Let me know if that is ok!! !